Last week I went to a coffee ladies cocktail night and enjoyed some great conversation, gossip and delicious coffee cocktails! I quickly learned that my cocktail is not a cocktail, but instead a mix drink, because there is only one kind of booze in it (oops!). Either way, I thought it was super tasty, so I recreated it for photographing purposes so I could share it with y’all! -Orange zest and a little juice. I used a little additional orange for garnish. 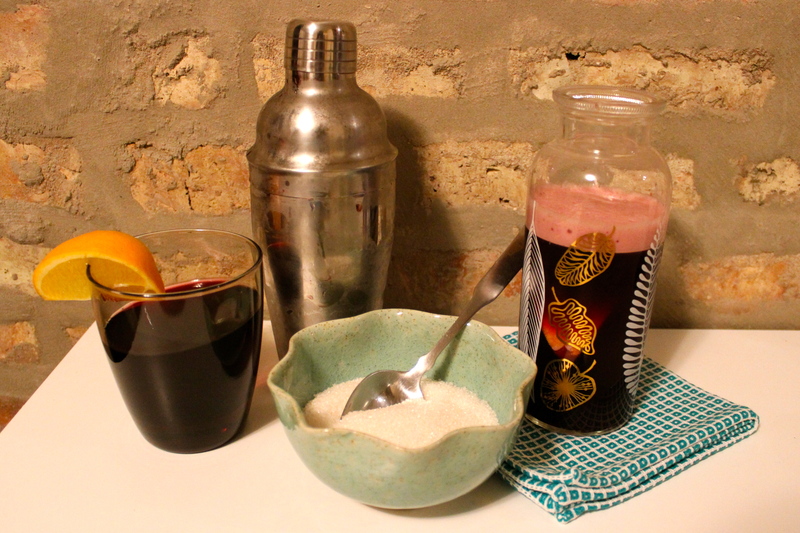 Mix together all ingredients in a cocktail shaker and shake vigorously to form a nice frothy layer. Serve in a wine glass or a highball glass, and enjoy a little caffeine with your wine!